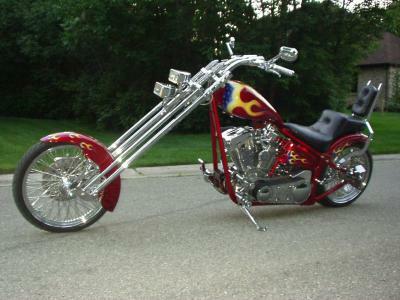 This custom chopper has a solid steel front end, and rides like a dream. I made everything but the gas tank, which I designed and had made in Kentucky. I have 3 bikes but this one is the most fun to drive.